David Frum has 2 media appearances. David Frum discusses Dead Right. David Frum discusses An End to Evil: How to Win the War on Terror. David Frum reads from Comeback: Conservatism That Can Win Again. 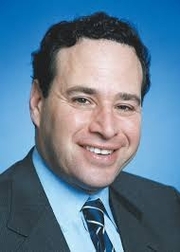 David Frum, leading conservative thinker and former speechwriter for President George W. Bush, will join E.J. Dionne, noted author and syndicated columnist for The Washington Post, in a lively political discussion moderated by Chris Satullo, an award-winning columnist with the Philadelphia Inquirer. These seasoned political analysts will reflect on shifts in the political landscape since the last presidential election and offer their prescriptions for the strategies each candidate should pursue in their race to be sworn in as the 49th president of the United States. Event location: Union League of Philadelphia, 140 S. Broad St. Business attire required (no jeans or sneakers). David Frum is currently considered a "single author." If one or more works are by a distinct, homonymous authors, go ahead and split the author. David Frum is composed of 2 names. You can examine and separate out names.